A substantial proportion of individuals with systemic lupus erythematosus (SLE) experience symptoms of fibromyalgia. These individuals report higher levels of SLE disease activity than those with SLE and no fibromyalgia, a new study confirms. Moreover, there is marked discordance between patient-reported and physician-assessed disease activity in these persons. 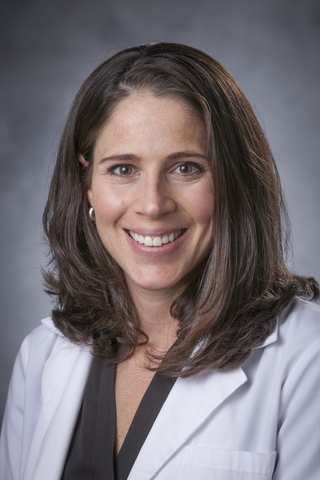 Jennifer L. Rogers, MD, of Duke University School of Medicine presented the findings of this study at the 2018 American College of Rheumatology (ACR) and Association for Rheumatology Health Professionals (ARHP) annual meeting held October 20 to October 24 in Chicago. Rogers and colleagues examined whether patient-reported outcome (PRO) measures can be useful in helping to subcategorize patients with SLE based on self-reported symptoms. Researchers performed a cross-sectional analysis of 206 individuals with SLE who completed PRO measures at each visit between January and May of 2018. PRO measures included the Systemic Lupus Activity Questionnaire (SLAQ), Patient Health Questionnaire-9 (PHQ-9) used to assess for depression, and the 2011 ACR Fibromyalgia Criteria. The majority of participants were women 40 to 47 years of age. Individuals were categorized into four diagnostic categories based on Systemic Lupus Disease Activity Index (SLEDAI) scores, widespread pain scores, and symptom severity scores: (1) inactive SLE without fibromyalgia, (2) inactive SLE with fibromyalgia, (3) active SLE without fibromyalgia, and (4) active SLE with fibromyalgia. Approximately one-half (48%) of individuals had inactive SLE without fibromyalgia and 31% had active SLE without fibromyalgia. Approximately 13% of individuals had active SLE with fibromyalgia and 8% had inactive SLE with fibromyalgia. Thus, approximately 21% of this population with SLE had fibromyalgia. Researchers found significant differences between PRO measures in individuals with SLE and comorbid fibromyalgia versus those with SLE only. Notably, scores on the Patient Global Assessment, SLAQ, and PHQ-9 depression score were at least twice as high in those with inactive SLE and fibromyalgia than they were in those with inactive SLE only (P < .0001). In individuals with active SLE and fibromyalgia, these scores were also significantly increased (P < .0001). Flares were self-reported by significantly more individuals with fibromyalgia, especially in the active SLE group, in which 100% of those with fibromyalgia reported a flare versus 64% of those without fibromyalgia (P = .0001). In contrast, the presence or absence of fibromyalgia did not result in any differences in physician assessment of disease activity in SLE. In patients without fibromyalgia, however, the study found solid correlation between patient and physician measures. Rogers and her colleagues also found that SLE-related symptoms (eg, swollen joints, muscle weakness, chest pain, and shortness of breath) were reported more frequently in patients with fibromyalgia. However, self-reported fibromyalgia symptoms—muscle pain, joint stiffness, fatigue, and poor sleep—were similar regardless of SLE activity (P = .05 for all symptoms). Those with fibromyalgia also reported higher rates of cognitive dysfunction, depression, anxiety, and functional symptoms (eg, headache, numbness, stomach pain). The authors concluded that fibromyalgia in SLE results in a measurable discordance between patient-reported SLE disease activity and physician assessment, suggesting that physicians may not be aware of the severity of symptoms this large subgroup of individuals with SLE are likely experiencing. PRO measures could potentially be used to identify patients who are experiencing more severe symptoms and improve disease management. Source: Rogers JL, Eudy AM, Pisetsky D, et al. The use of patient-reported outcome measures to assess clinical features of fibromyalgia in SLE. Presented at: 2018 ACR/ARHP Annual Meeting; October 19-24, 2018; Chicago, IL. Abstract 1666.